Cars are a necessity for many people who commute for work or use their vehicle to take children to school, run essential errands and more. Having a vehicle also opens up a host of possibilities for social activities and general freedom of movement for everyone. Buying a new car can be costly though, and for some people, it’s either out of reach or simply not worth the extra expense. That’s when most people turn to the used car market. Performing a vehicle title search can help you learn about a vehicle to ensure that you’re making a smart buy when shopping. Use this guide to learn more about vehicle title searches and how you can perform one effectively. If you don’t get the vehicle history before you buy, you could end up spending your hard-earned money on a car that simply wasn’t worth it. Why Run a Vehicle Title Search? 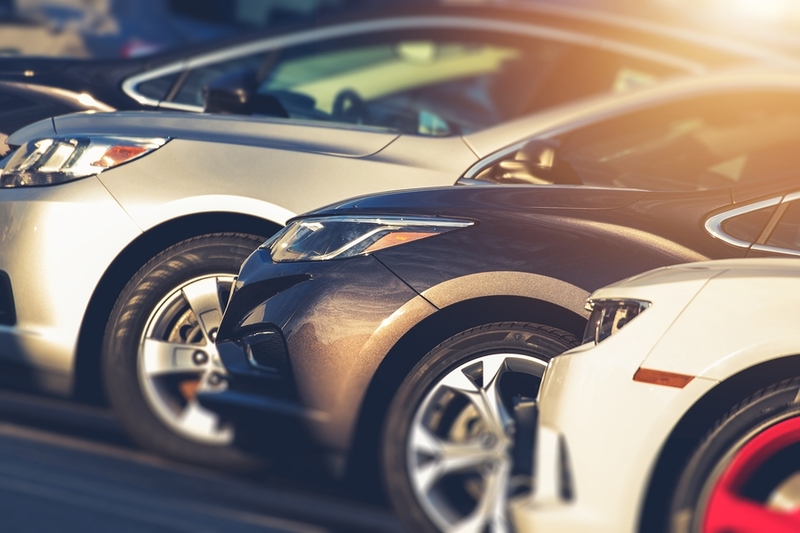 Running a vehicle title search can help you learn more about the history of a vehicle beyond what the owner has told you. While many sellers are completely on the up and up, some may be unscrupulous. Others may simply not know the full history of the vehicle because they were never given all of the information. When you perform a vehicle title search, you’ll be able to find out if the vehicle has been involved in any minor or major collisions. This can impact the value of the car as well as the potential overall performance of the vehicle you’re looking at buying. You’ll also learn whether the owner knows the true history of the car or if they’re trying to pull the wool over your eyes and get you to buy at a price that’s not truly fair. Checking to see if there’s a lien against a vehicle you want to buy is one of the main reasons to perform a car title search. If you do find that there’s a lien on the vehicle, you have a few options if you still want to buy it. Negotiate to pay the lien off when you buy the vehicle. This can typically be done in a safe way if the buyer and seller meet to pay off the lien in person before transferring the title. Negotiate the final sale price with what you’ll need to pay to have the lien removed in mind. Have the seller pay off the lien with a good faith agreement that you will buy the car after they provide proof that the vehicle is now lien-free. Use an escrow service that will hold the title to ensure that both parties do their part. This can protect a buyer who agrees to pay to have the lien removed. Most states do not offer complete title information even on vehicles that are registered within their jurisdiction. This information is simply too difficult to track for most states, so it’s left to other organizations. Some states do offer registration abstracts though. These contain useful information like parking tickets that may be left on the car. Title registration abstracts can provide more information about the current owner and past owners of the vehicle. 3rd party vehicle title searches often provide the most information in an easy-to-read, easy-to-understand package. Many third-party title services charge a small fee for records, but this is often much cheaper than buying a car that’s not worth what you paid. Sites like SearchQuarry.com are popular options for getting a VIN check. You can also obtain records this way quickly, which can be important if you’re looking to buy a used car that’s in high demand or for sale at a price that’s enticing to you as a buyer. Getting a car title search can help you avoid buying a car that’s not worth your money. You may need to pay for a comprehensive search, but a few dollars for well-kept records can save you thousands in the long run. The DMV states our title on a car purchased 5/7/18 was sent. We haven’t received though dealer said it was sent 9/24/18. Vehicle PIN number is 2T1BPRHE2HC8333180. Thanks for reaching out about How to Perform a Vehicle Title Search. We are happy to assist you with a vehicle history report but those are not free. The other option is to contact the DMV directly and inquire about getting a duplicate title in case your title was lost in the mail or something happened to it. Below are some useful links for your convenience to further assist you in performing a vehicle title search. Robert, if you’re trying to find out about the status of a vehicle title then you’ll want to reach out to the relevant state DMV directly. They can offer such information, we are not affiliated with the DMV so you’ll have to do this over the phone, online or in person. Visiting them in person is typically the quickest means of getting an answer about the status of a vehicle title. Contact the DMV directly and request the status of a vehicle title. You will need to have the VIN and/or license plate number of the vehicle. The vehicle status check will show the last date the title was changed or the vehicle was sold. Requesting to know where was title to chevy tahoe 2003 Harry Rivera was sent to what address ? I need an example of the depth of info provided before I subscribe to your service. My BMW would be a good trial . It\’s VIN is 4USCJ3325VLC07429. Thank you! You can start by using our free VIN Decoder and see what information is available for your BMW first. Depending on what you’re looking for we also offer a vehicle history report for an additional fee which will give you the simple history of your vehicle, as described in our “How to Perform a Vehicle Title Search” blog post. If you have any specific questions please reach out. Denise, there should be a VIN, or vehicle identification number, located in a few places. The dashboard, the driver side door and the engine. You can supply this to the police or the impound yard if you decide to have the vehicle towed.